Buon Giorno! Caffé & Bistro first opened in Tagaytay in 2005. With the breathtaking Taal as its backdrop, those looking for a relaxing escape from their busy city life have finally found a cozy Italian-inspired restaurant that serves delectable dishes. 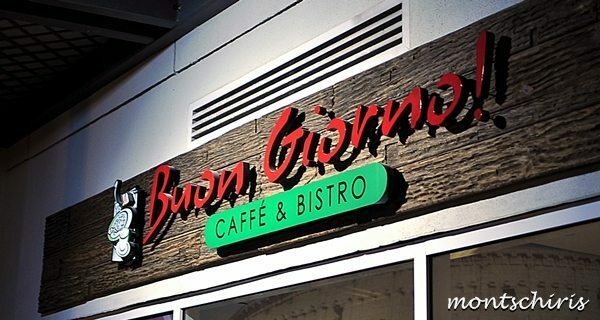 Buon Giorno, which means ‘good day’, became a well known destination among those who want to satisfy their craving for that distinctive Italian flavor. Recently, Buon Giorno! Caffé and Bistro has opened its newest restaurant at the Rockwell Business Center in Ortigas. Food connoisseurs can now enjoy the same scrumptious dishes within a shorter travel time. A Buon Giorno! adventure starts with an antipasti of tomatoes, mozzarella and basil on garlic-olive toast or a trio of crostini slices with pesto, chicken liver pate and mushroom dip. Taste the smoked salmon with mango-dill sauce that comes with a fruity Asian twist. Not to be missed is the Buon Giorno’s Special Insalata which is a mix of their best salad ingredients drizzled with Buon Giorno’s well-revered house dressing. You can also try Insalata Ceasar, Al Fruiti De Mare, Green Goddess Salad, Insalata Di Tonno and the Foie Gras Insalata. Need a hot bowl of zuppe (soup)? Buon Giorno! offers satisfying varieties that include broccoli, pumpkin, spinach, mushroom, tomatoes and shrimp. For most people, Italian-inspired restaurants mean great pizza and pasta. At Buon Giorno!, their customers’ pizza craving will surely be met by mouthwatering choices which includes Al Margherita, Mare Pesto, Con Salciccia, and the Quattro Formaggi, which is a mixture of four chesses: gorgonzola, mozzarella, fontina and parmesan. Meat lovers will surely enjoy Buon Giorno’s New York Pizza covered with assorted meat, bell peppers and cheese topping on a crisp dough. There is also the Vegetarian Pizza, topped with zucchini, roasted bell peppers, eggplant and spinach. Pasta lovers will surely delight in Canneloni Spinaci, a spinach pasta made special by bits of chicken and mortadella ham, tomato sauce and cheese. Another special pasta dish is the Pescatore Alla Puttanesca, a seafood pasta smothered with spicy and peppery tomato sauce. Another popular choice is the Pollo E Funghi. It is a risotto dish with mushroom made especially for those who love chicken. Craving for fish? Then try out Buon Giorno’s San Prieto Basilico John Dory. You will surely love the perfectly cooked fillet Dory made more delicious by its creamy sauce and spinach. For bevande (drinks), there’s a wide selection of drinks such as fresh fruits, teas, and smoothies. For fresh fruits, there’s dalandan, grape, watermelon, apple and pineapple shake to name a few. Buon Giorno! has a line up of heavenly desserts. To pick just one will surely be a challenge. 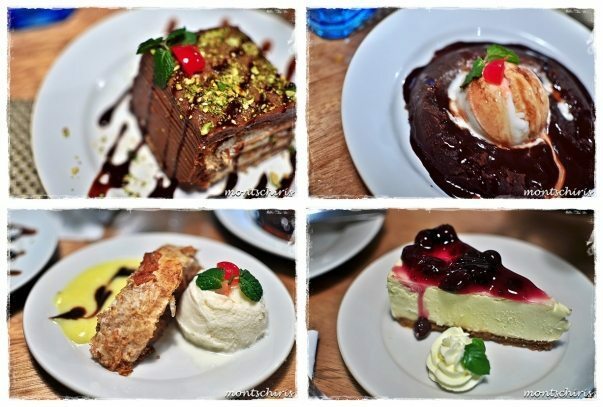 Whether it’s the Apple Strudel, filled with apples, sugar and cinnamon, the Creamy Cheesecake, the Chocolate-Pistachio Sans Rival or the Molten Chocolate Cake, eating dessert at Buon Giorno! will surely be an unforgettable experience. 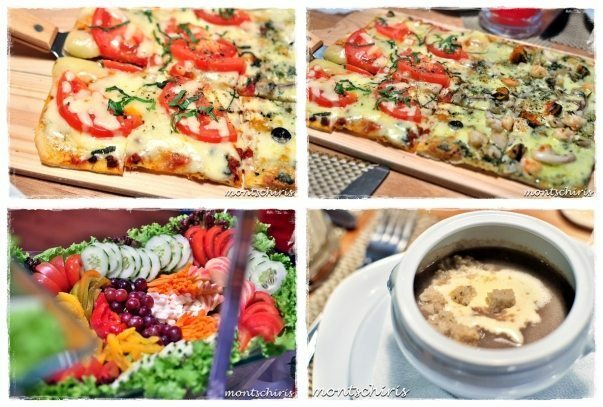 Enjoying all these delectable dishes, whether at the newly opened Rockwell Business Center or at the panoramic Tagaytay City, dining at Buon Giorno! is surely an experience worth savoring over and over again. wow, the food are really appetizing.. naglalaway talaga ako… 🙂 The next time we visit Tagaytay, we know where to eat.. thanks for the post! 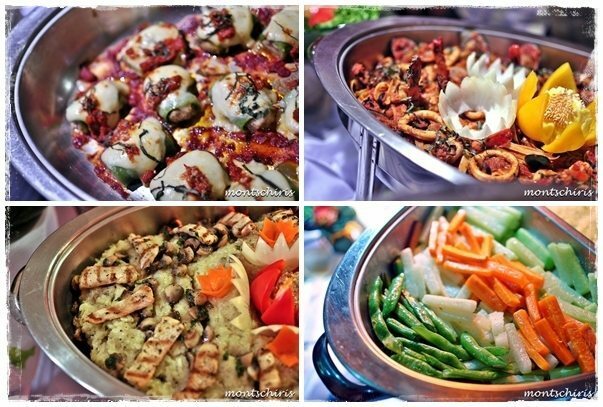 The food looks delish! When we visited Tagaytay, we went to this local eatery where you can order fried tilapia (and it’s a big one) and bulalo. Sarap! Busog na busog ako. I haven’t tried eating in this resto. But I will definitely put this in the restaurants that I would love to visit. Your photos and this post made me miss home! I’ll ask my hubby to try this place.